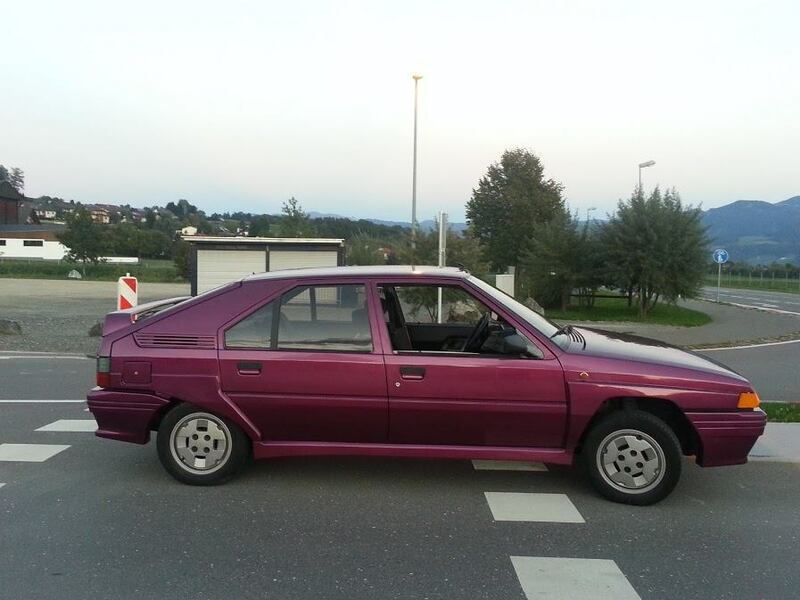 [7 March 2016] For many years it was known that a BX SPORT was driving around in Austria in purple metallic color. We never found out its identity until now the current owner contacted us. It is Michael Albert, living in the village of Vösendorf. He told us that he was the 3rd owner and that the first owner, having the car until he sold it in 2014, painted the brand new car in violet metallic and repainted the BX again in 2014 before he sold it to the second owner. Incredible story because originally the car was red. ! Michael bought the car in 2015 from the 2nd owner who drove only 1500 kilometers. This 2nd owner preferred buying a Porsche 911 in stead! It is one of the first batch delivered to Austria in the 02XJ0000 series (nr 15). Michael is looking forward to anyone who would like to organize a BX SPORT meeting in Europe.